You may be saying to yourself that you can't really enjoy your collection when the guitars are all packed away. Or maybe you have a music room or home studio and the space to display or keep instruments at hand. We also have some tips for you. Everyone's old standby, the trusty stand. 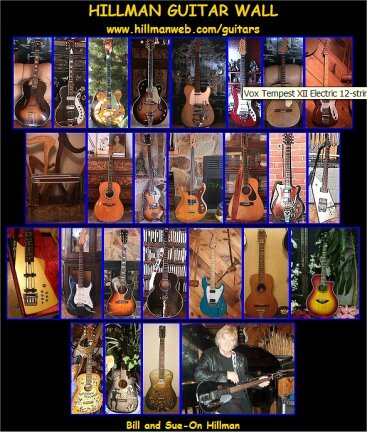 Over the past few years there have been several new designs which have appeared on the market which are intended to keep the guitar steady so it cannot be knocked over. This is a good thing, however all guitar stands have areas where they contact the instrument itself and these newer stands often "grab" at a larger section of the instrument's body to perform this function. 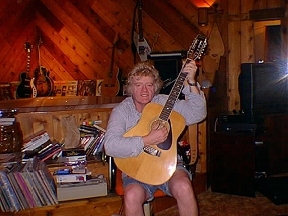 And while all the stands generally cover these areas with what they call a "harmless no mar covering," it has been my experience that prolonged contact with any rubberized, plastic, spongy, or even leather surface will interact with the guitar's finish and produce flaws ranging from discoloration to complete lifting of the finish off the wood. Finish problems associated with rubber protectors are related to off-gassing of chemicals used to produce the product as it ages. This leaves the rubber discolored and hard and the process can interact with lacquer guitar finishes causing blemishes and worse. Plastic protectors are similar but take longer to break down. Leather, often envisioned as a soft protective covering, can be worse on guitar finishes. The process of tanning hides to produce leather involves using harsh acids to break down the skin and these acids are then neutralized with a buffer on the surface. Over time, however, the acid in the leather works its wayback to the surface to where your guitar's finish is in direct contact. The result is predictable. Heavy electric guitars are more prone to this sort of damage because of their weight. The other key concern over a floor stand is that the instrument can still beknocked over by either a toddler or pet if left unsupervised. While you probably would not have your young children or pets in your music room, things do happen and a stand is no guarantee of complete immobility. You have seen these in your local music store, either v-shaped or u-shaped metal or wood designs which attach to special racks or bolt directly to the wall and hold the guitar at the headstock in two "fingers". The fingers range from painted bare metal (ouch!) to "protective" coverings like rubber, sponge or leather. The idea here has merit because a guitar hung on the wall can be out of reach to small children and invulnerable to accidentally being knocked over. But the problems of contact remain and are in fact multiplied because the weight of the instrument is localized in two small one quarter inch spots where the neck and headstock meet. On the other hand, any finish problem which developed would also be localized and some might be able to live with that. But most collectors would not. While metal hangers do need some sort of padded protection on the fingers, there are some plain wood hangers available which could be used but would require careful placement of the guitar after each use. Some of these systems have been designed to hold several guitars and work well for those who have separate player guitars and would use the system primarily for display. One way around the problem of finish "protectors," that can actually damage the finish, which are used on most guitar stands and hangers is to cover them with some sort of cloth. I use strips of 100 percent white cotton and use a sewing machine to make little "tubes" of cloth which I cut to length and fit over the "fingers" of the guitar stand or hanger and this seems to work well. Using a hanger with any Fender guitar needs close attention, especially a Telecaster since these have a narrow headstock and with a slight twist can fall out of the hanger. You might want to use your pliers to close the fingers somewhat on your Tele hanger. Some guitar makers advocate hanging the guitar by the headstock by stringing wire or string around the tuners and looping the top over a nail. This actually works pretty well and keeps the guitar off the floor, but it does take longer if you take the string on and off every time you play. Wire is less satisfactory for this sort of hanging arrangement because it can scratch the finish and the string needs to be strong enough to hold the weight of the instrument plus tied so that it won't come apart. Of course, the nail needs to be in a stud or otherwise securely located. Aesthetically, the string-on-a-nail method is least attractive and it is not known whether the weight around headstock or tuners has any long term effects on the neck. My own personal experience is with a recent acoustic guitar by a maker who is known for thin "fast" necks. I found that even after just an hour of being hung by string on a nail the guitar would be slightly out of tune, especially on the high E string. Your imagination and pocketbook are the only constraints here. Well-heeled collectors like Tsumura and Chinery have custom-built glass display cases. Others I know use exhibit or store display cases to great effect, often laying the instruments flat on glass to avoid and problems. One collector I know uses a rifle case. Always be careful of the points of contact between guitar and case. However, besides the expense, cases can take up lots of space and may not be suitable for all applications. I know several collectors with sizable numbers of guitars who use a "rotation" method to enjoy their guitars. They take out one or two guitars and string them up, then play them for a month or so after which they put them back in their cases and take out a couple more. They enjoy small parts of their collection at a time but over a year or two get to play and enjoy every one after which they start over. A guitar collection is meant to be enjoyed, and by considering your use and display of your instruments, you can devise a system that works best for you. Eric Shoaf has written extensively on guitars. 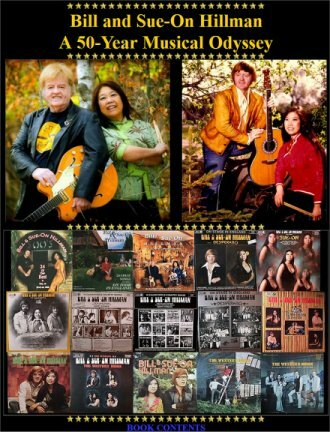 He reviews guitar-related books and contributes interviews, feature stories, dealer profiles and a variety of other articles for Vintage Guitar Magazine. He has been writing for Eric holds a Bachelor's degree from Duke University and Masters degrees from the University of Rhode Island and North Carolina Central University. He maintains a collection of classic Gibson archtops, a profusion of acoustic flat-tops, and about 30 lapsteel guitars of pre-war vintage. In addition, Eric collects automobile sales brochures, first-edition books by William Burroughs and Tom Wolfe, coins, and guitar picks. Torakusu Yamaha succeeds in building first organ. 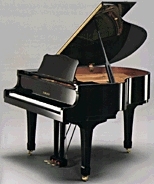 "concept" piano for the new millennium.